Happy Krishna Jayanthi to all my viewers… today there is one more special news to share… one of my blog friend delivered a girl baby on Aug 21.. here this is the welcome post For Aarthi and the new little angel… May God Showers his Blessings to their Life..”Congratulation Aarthi…. 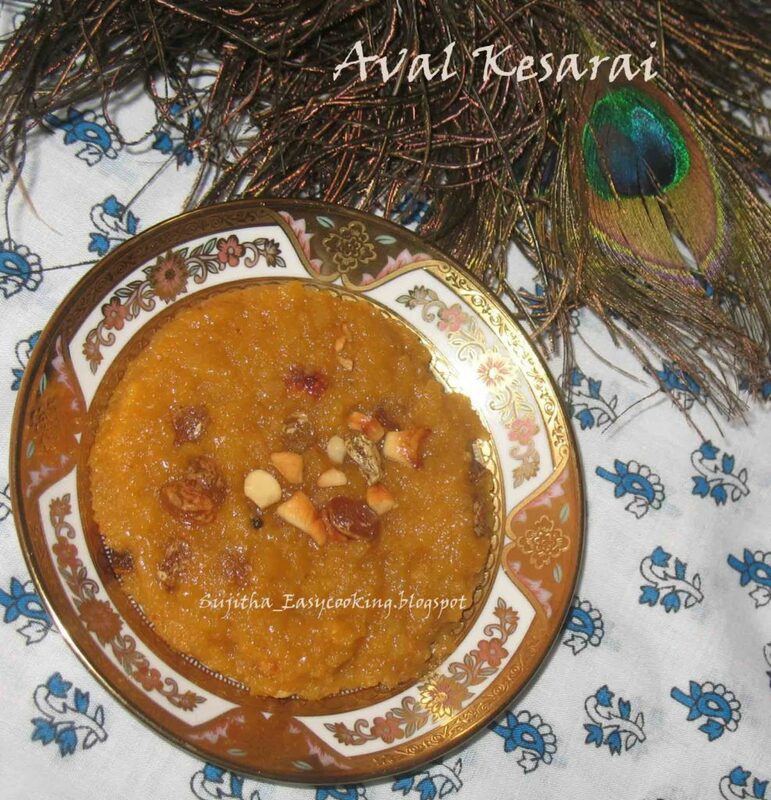 That’s i plan to welcome them with a Visual treat of Sweet Dish…. Finally here is the recipe…. * Grind the Poha/Aval in Mixer to a Coarse Form..
* Heat the kadai with 1 tsp of ghee fry the nuts and rasins keep separated..
* Bring the Water to boil with a pich of Orange food color and Crushed Yellachi..
* Add in the Ghee cook for 2 mins..
* Add the fried nuts and rasins..
Oh so sweet of you suji..Thank you so much..